A unique exhibition, which brought a sense of the sea back to some of our Country’s veteran mariners, was organised by national maritime charity, the Shipwrecked Mariners’ Society. The exhibition, which took place during Seafarers Awareness Week (20-28 June), marked the launch of its third annual maritime photography competition. The photographs were displayed during the annual Seafarers Awareness Week celebrations at the Royal Alfred Seafarers Society care home and sheltered housing site- Weston Acres – which has provided nursing care and accommodation to elderly, sick or disabled seafarers, their widows and dependents for 150 years. The exhibition, which brought a sea view to the land locked Surrey care home, featured images of seven of last year’s competition entries, ranging from trawler races in Brixham to lighthouses in Porthcawl, displayed around the grounds of the home, and was viewed by prestigious guests, including comedian Tim Vine today (Thursday 25 June). The Society is encouraging budding photographers to get involved in this year’s competition, open to professional and amateur photographers across the Country, and to send in their pictures of the coast, seafarers and the sea, whether in relation to work, wildlife, seascapes or fun, to celebrate our intimate connection and reliance on the sea, seafarers and the maritime industry. The competition is being run from the Society’s website www.shipwreckedmariners.org.uk, and across social media. The competition will be judged by a prestigious panel of media and maritime experts including the chief executive of the Shipwrecked Mariners’ Society, Commodore Malcolm Williams. 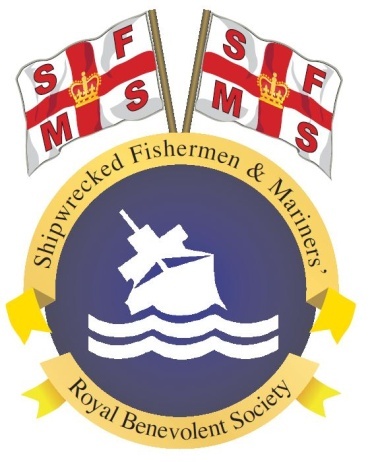 The Shipwrecked Mariners’ Society, which celebrated its 175th anniversary last year, gives financial support to fishermen, mariners and their dependants who are suffering hardship. In the last year the organisation handled 650 new applications for assistance and distributed £1.4million across 2,200 cases of need. The deadline for entries to the competition is the 7 August 2015. To enter the competition, full terms and conditions and for more information about the work of the Society visit www.shipwreckedmariners.org.uk or the society’s Facebook or twitter pages at www.facebook.com/shipwreckedmariners and @ShipwreckedSoc.